Define keywords that will trigger alerts. 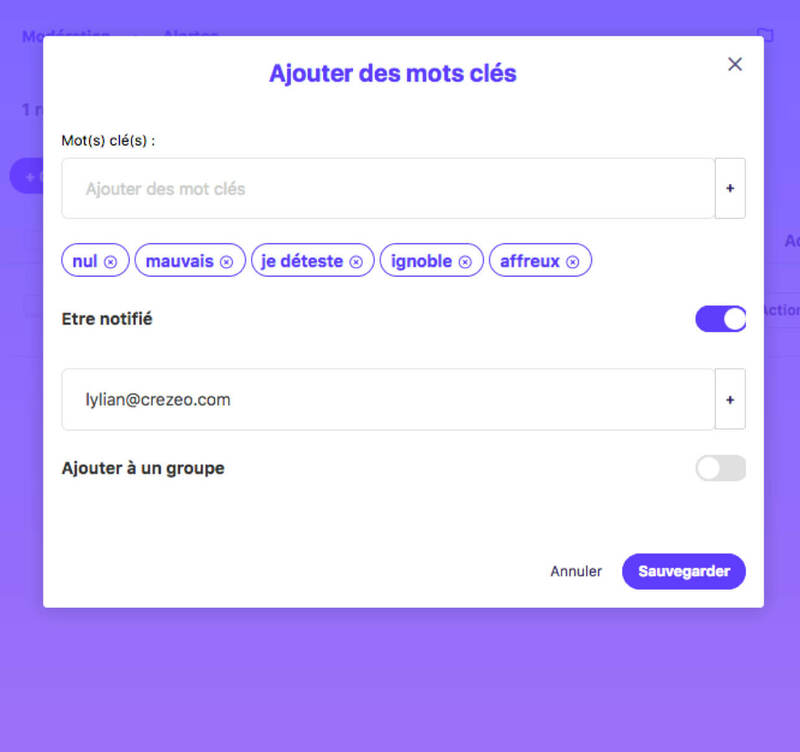 Delegate moderation and inform your users easily. When a community is created, it is important to define its charter, its rules. They can be more or less strict. Limit the participation of all the members or on the contrary open to all. With Potion, you can easily set these rules, this control. You are free to define what is best for your community. 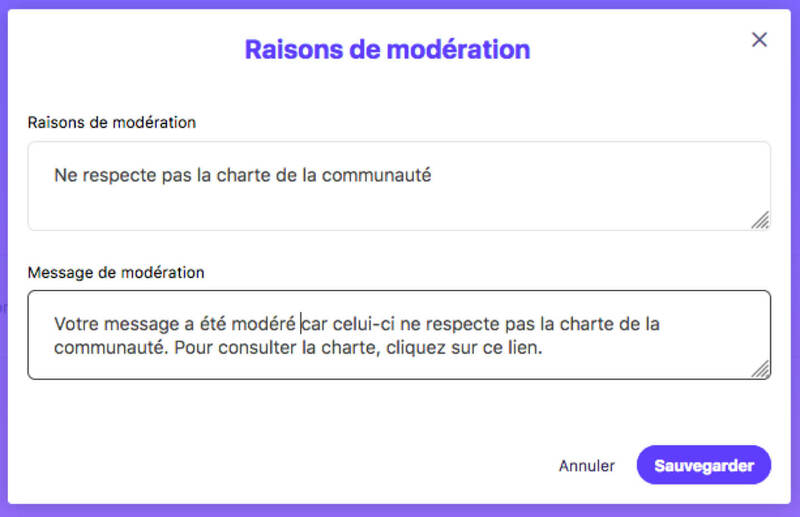 Your platform can easily switch from one moderation mode to another. You can also opt for different modes of moderation depending on the types of content. Choose the mode of moderation that suits you. Do you prefer to check all contents? Opt for pre-moderation and nothing will be published without your validation. You want a check after the publication? Post-moderation is for you, there is something for everyone! An interface allowing you to treat each publication, whether in post or pre-moderation mode. Moderation on Potion can be done in two different ways. Post-moderation lets your members express themselves on your community without your verification. You can obviously moderate the content once it has been posted. Pre-moderation requires your verification at each publication. 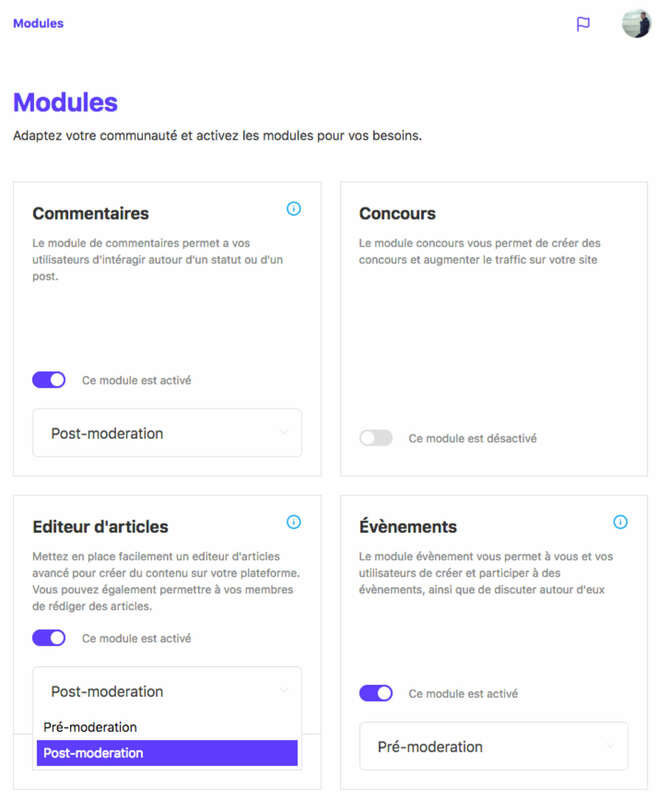 Each module of your platform is available in post or pre-moderation. Statuses, comments, creation of events, articles ... Configure as you wish what your members can publish. In case of post-moderation, you can only create alert words which, according to what you have defined, will notify you by email that an alert word has been used by one of your members. Create reasons for moderation and send your pre-recorded messages directly to members. These will be alerted by email of the reason for moderation of their message. Your platform and articles are optimized for mobile viewing, do not waste time and keep moderating even while on the go.